The Department of Cultural and Artistic Activity at the General Administration of Youth Welfare started the Fourth Golden MicCompetition on 7/11/2018 at the Central Library of the University. 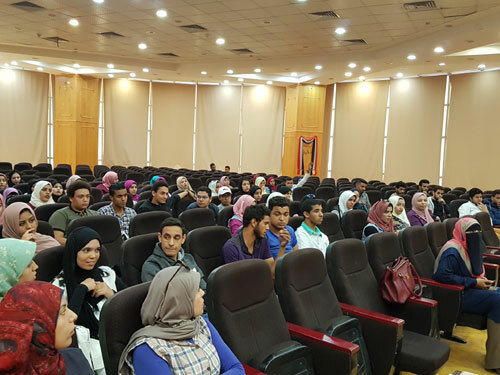 The competition is organized under the auspices of Prof. Ashraf Abd El-Hafeez, Acting President of Fayoum University and the supervision of Prof. Khaled Atallah, Vice President for Education and Student Affairs. 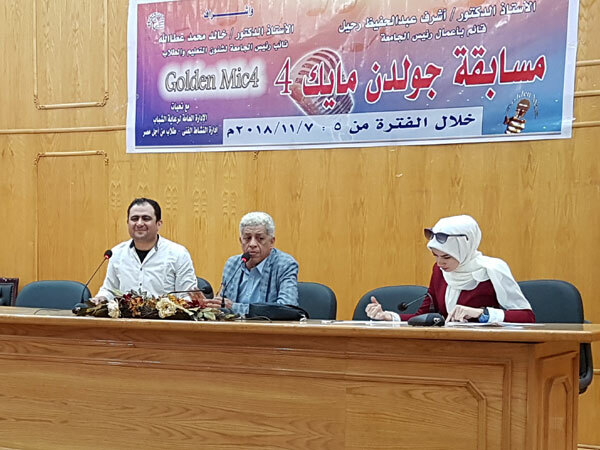 The Golden MicCompetition is held for the fourth year to discover the best voices among the students from different faculties. Then the most beautiful voices will be chosen for the formation of theUniversity singing team, which will represent the university in the competition (Creativity 7)that will be organized by the Ministry of Youth and Sports between theEgyptian universities. The competition will be conducted in two stages. The first will include the selection of the best participating voices to have the chance of participating in the second stage, during which the best three voices from the males andthe best three voices fromthe females will win in the competition.